This year’s Fanfare Competition for 11 to 18-year-olds is now open. 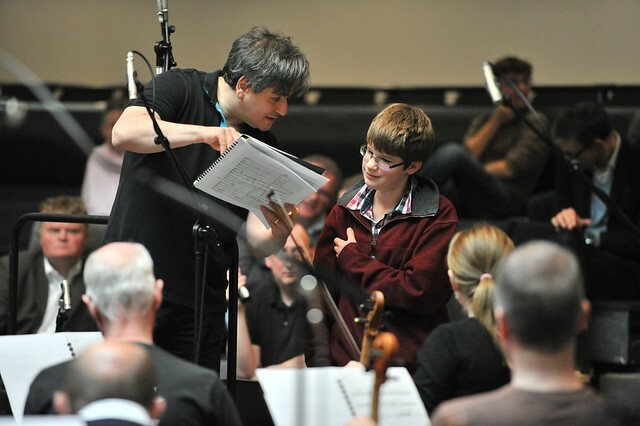 The unique competition gives young people the chance to create their very own sound for the Royal Opera House. Winning fanfares will be heard by thousands of audience members as they are called to take their seats for performances during the upcoming 2016/17 Season. The winners will join Music Director of The Royal Opera Antonio Pappano and the Orchestra of the Royal Opera House to record their compositions. 'It was an experience I just cannot explain in words, to hear my composition played by the orchestra,' says Kethaki, a previous Fanfare Competition winner. To assist entrants with composing their fanfares, we've created a series of online resources. These resources offer guidelines on how to approach composition and sample motifs to inspire budding composers. Participants have until the 25 March 2016 to submit their entries. Find out more about our Fanfare Competition.